Discover top-quality auto repairs for Volkswagen and Audi vehicles when you visit our shop in Branchburg, New Jersey. From major engine overhauls to routine maintenance, Dan's Automotive Repairs LLC offers quality services you can depend on. 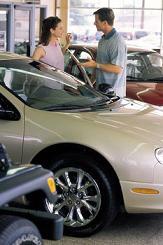 Our shop receives a lot of repeat business, and is all about word-of-mouth referrals. For more information about us, contact us today. Our auto shop proudly serves Hunterdon County and Somerset County. Mention This Website to Receive 10% off Your First Service! Call Our Auto Repair Shop for Quality Volkswagen and Audi Vehicle Maintenance.